Third grade students at Presentation B.V.M. 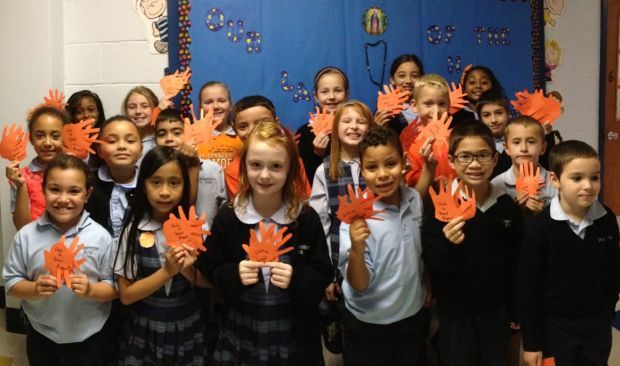 School in Cheltenham celebrated “Unity Day” by learning about the new saint, St. John Paul II, who showed the world how God’s mercy, love and respect for others can unite us. The students traced their hands and shared one of the cutouts with another student. The sharing of their hands represented a symbol of their unity and how they can work hand in hand to change the world.